Your organization invests a lot of time and money in medical coverage, retirement funds and wellness programs, but it’s wasted if staffers don’t tap those resources. Try these tactics. You sent a companywide email about benefits; that doesn’t mean employees got the message. In today’s information-overloaded workplace, it’s a challenge to reach employees with vital communication about HR issues. You must break through the clutter to get their attention. Here are fresh approaches to reaching employees so they’ll understand and act on benefits options. Most Americans read at the ninth-grade level. So, if your content is written at the 13th-grade level, you’ve got a problem––too much jargon, too many long words and complex sentences. Although a corporate style of writing might help you sound like an expert to your boss, it won’t gain your audience’s attention or trust. Try this: Analyze your writing with the Flesch Reading Ease Score or the Flesch-Kincaid Grade Level Score, using tools built into Microsoft platforms. Choose short words. Resist the urge to use long words to sound educated. Say what you mean as plainly as possible. Use conversational language that is friendly and personable. Make it scannable—use subheads, bold text and bullets. Gaming is ingrained in our lives. Whether we spend time playing games on our phone, with friends or on a gaming console, “play” is an experience we value and often expect. You can use games to build knowledge of important topics and to increase participation in underused benefits programs. Trivia: Create flash cards with facts about benefits. Employees have to guess which multiple choice answer is correct, or say whether a statement is true or false. Ask managers to play the game in staff meetings. The cards also work as a quick reference tool for managers when employees come to them with questions about benefits. Crossword puzzle: Each puzzle should focus on one topic: open enrollment, 401(k), wellness, etc. Give employees two weeks to submit their answers, and enter all those who submit into a drawing to win a prize. Games and contests will help build interest in your benefits program. 3. Create a character to make benefits more fun and friendly. Employees can better understand information when it’s relatable. Who was your favorite childhood character: Winnie-the-Pooh, Inspector Gadget, Scooby-Doo? These and other characters helped tell stories in an engaging way. Try this: In your next open enrollment brochure, introduce a character to make the process easy for employees. Use the character to introduce new programs and services, explain complex topics and provide tips and additional information in call-outs. Use your character in other benefits materials. Over time, employees will recognize that the character reliably provides helpful information. 4. Develop profiles to show how different kinds of people use their benefits. With all the benefits offered by your company, it’s easy for employees to become overwhelmed. That’s why you ought to use a strategy from online dating: creating profiles. In benefits communication, employees can choose options that best fit their lifestyles by accessing profiles that are like themselves. Try this: Build employee profiles based on current demographics. 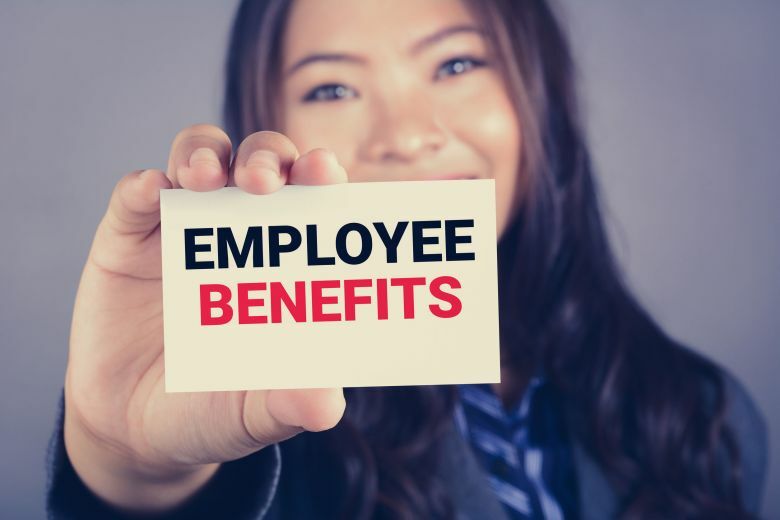 The profiles should help employees understand the purpose of each program or service, highlight features important to their situation and help employees see the advantages of each benefit. Then, match them to the benefit options that best fit their needs. You can share profiles like these in PowerPoint presentations, home mailers and poster campaigns around your offices to help employees make the most out of their benefits. Through these, staff members can hear what’s working well for their peers. When employees share their experiences, it helps their colleagues see the possibilities.